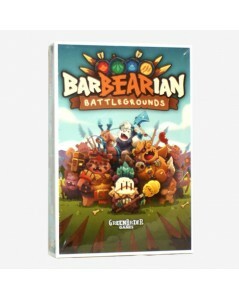 Become one of four clans of adorable bear-warriors out to build the best neighbearhood in the forest! Don't expect this to be a picnic as your bears aren't the only ones fishing for glory, so be prepared to ward off attacks from your furry rivals. 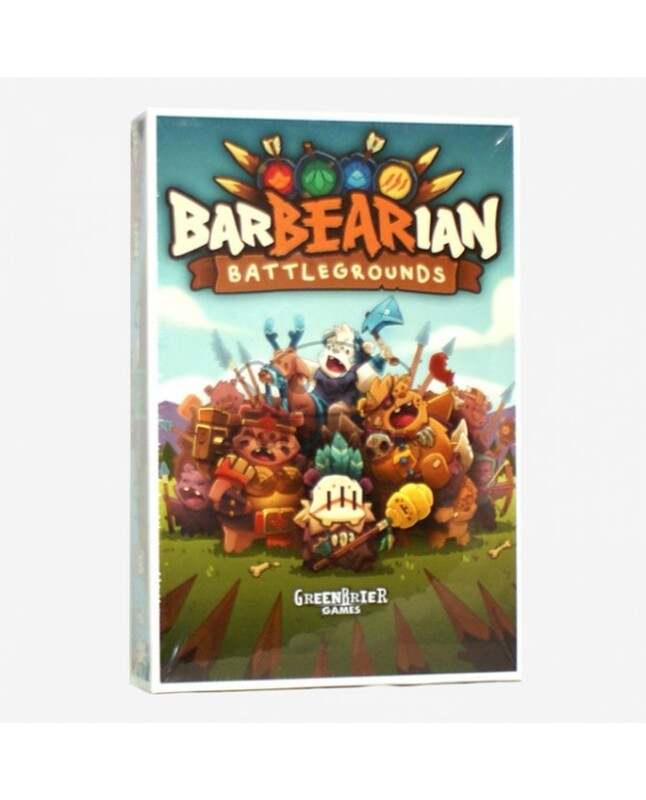 By gathering resources, pillaging your neighbears' villages, and developing your home turf, the tale of your clan will become legend. 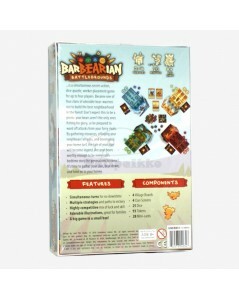 BarBearian Battlegrounds is a simultaneous secret-action, dice-puzzle, worker placement game for up to four players. Are your bears worthy enough to be every cub's bedtime story for generations to come? It's time to gather your clan, bear down, and hold on to your honey.